At the beginning of World War II a secret organization was founded in England to combat the Nazi’s Supernatural Weapons Group. 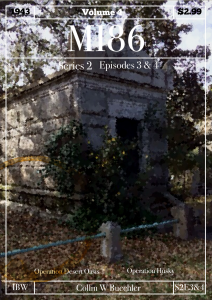 Charged with tracking down mystical artifacts M.I. 86 hoped to put a stop to the Baron von Sterb’s plan to use the relics to win the war for Germany. When US Marine Gunnery Sergeant James Dennesy reported for duty, he had no idea he was M.I. 86’s next recruit. 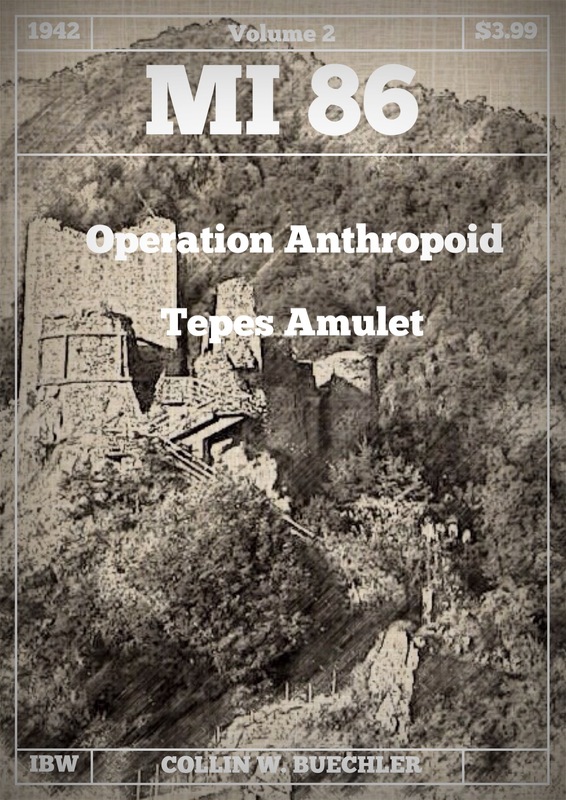 Operation Anthropoid sees James, Rachael, and Lance journey to Prague in search of a trio of mythical artifacts. The recovery of the artifacts is secondary to their primary mission, support for the Special Operations Executive mission to assassinate Reinhard Heydrich, the architect of “the final solution” and Obergruppenführer of the SS. This real life event serves as the backdrop to the trio’s mission in the city of a hundred spires. Escaping the aftermath of Prague has left Rachael and James separated from Lance Cogswell. Their escape has brought them to the castle Poenari, one of Vlad Tepes’ strong hold. Vlad Tepes, or Vlad the Impaler is better known as the inspiration for Dracula. James and Rachael find themselves seeking the 15th century Prince’s royal amulet, an artifact with unknown properties. 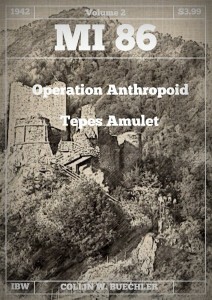 MI86 is not alone in their search for the amulet as Gretel has cooked up a surprise for the pair. James Dennesy catches a ride with a British demolition team headed for Greece to destroy an important railway bridge. There the MI86 agents encounter UWG soldiers searching for Medusa’s head. Can James and the rest of his team secure the gorgon’s head before the German’s, all while staying out of the way of the British forces seeking to destroy the Gorgopotamos bridge? The team from MI86 join forces with a group of Norwegian commandos tasked with destroying the Heavy Water Plant at the Vemork, Norsk Hydro power plant. 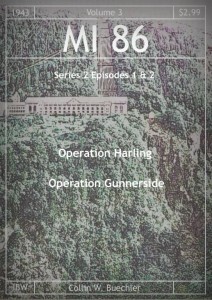 While in Norway James and the rest of the team from The team from MI86 join forces with a group of Norwegian commandos tasked with destroying the Heavy Water Plant at the Vemork, Norsk Hydro power plant. 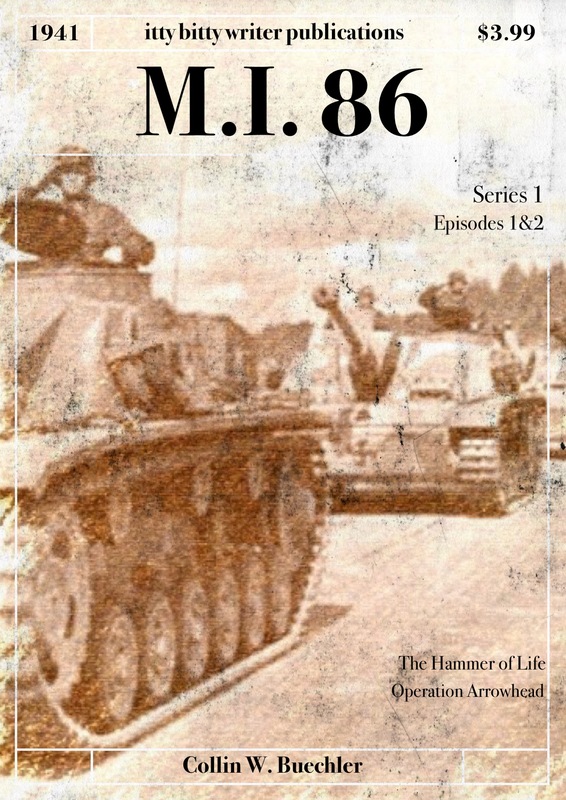 While in Norway James and the rest of the team from MI86 encounter the Baron von Sterb and Gretel looking for an artifact that dates back to the unification of Norway under the rule of Harald Fairhair over a thousand years before. Can James, Rachael and Lance escape Norway after Joachim Ronneberg and his team destroy the heavy water plant? 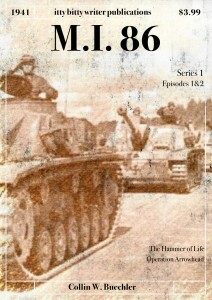 James, Rachael, and Lance are deployed to Egypt to investigate recent Nazi activity at a mysterious Oasis. Here the intrepid MI86 agents encounter a force they did not expect. Meanwhile the Baron von Sterb and Gretel work through recent changes in their team dynamic. MI86 deploys its top team of agents to investigate the activities of the UWG during the Allies invasion of Sicily.